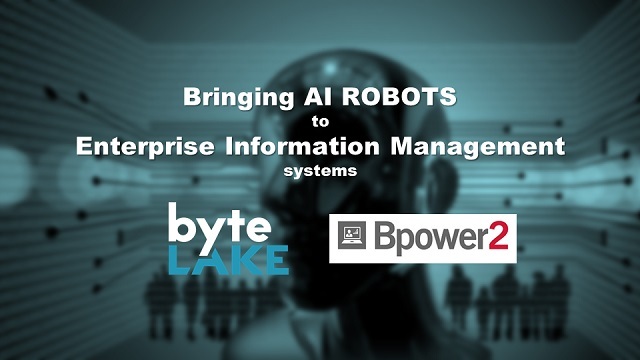 Red Cloud, a company that created an enterprise information management system called Bpower2, selected byteLAKE as their Artificial Intelligence (AI) partner. As part of the agreement, byteLAKE will enhance Red Cloud’s Bpower2 with machine learning powered modules to automate documents workflow and processing. The partnership ensures that the customers of Bpower2 system will soon benefit from the AI modules that will offload them from routine tasks and assist while working with various business processes (i.e. accounting). “Robotic Process Automation (RPA) is coming big way to almost every industry. Solutions based on these concepts are commonly known as software robots or AI powered workers. They help automate and significantly accelerate execution of routine tasks. Besides, RPAs can efficiently assist humans by helping them avoid common mistakes while processing and approving documents, and many more. Today we are very excited to have kicked off a project with Red Cloud where byteLAKE team will design and deliver AI modules for their Bpower2 product,” said Marcin Rojek, byteLAKE’s Co-Founder. “Automation and optimization of various business processes are crucial and very high on our agenda when planning future roadmap for Bpower2. We see Artificial Intelligence as the key enabler to achieve such goals. Being impressed by byteLAKE’s achievements and innovativeness in the AI space, we are very happy to welcome them as our partners who will design and deliver AI-based microservices for Bpower2,” said Jacek Rakoczy, Bpower2’s CEO. Bpower2 is an Enterprise Information Management (EIM) that helps sort out what seems so difficult to accomplish – a huge number of electronic documents and tasks between employees. Having a modular architecture, the system can organize the knowledge and tasks in the simplest way possible. Bpower2 has been developed with a close collaboration with several business executives and experienced consultants working in the field of enterprise management systems as well as many IT specialists. To date (Q2 2018) it has been successfully tested and launched in 50+ companies across the following industries: FMCG, Marketing, Production and Services – consultancy and accounting companies.